I'm saving up, but I'm still without a camera. Early spring in Chicago is one of my favorite times for photography. It makes me sad that some hooligan is out there with my stolen camera while I am missing out. On a happier note, I decided to pull one of my favorite spring recipes from the archives just in time for St. Patrick's Day. Enjoy! This wonderful recipe was suggested by my friend Joanna. I liked the idea of adding rosemary, fresh black pepper and browned butter to this quick bread base to create a decidedly non-traditional version. so happy to have a new post from you! 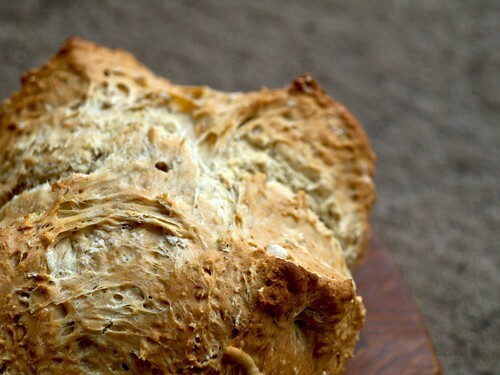 I always love hearing what you're up to--this bread looks beautiful, and I will make it along the colcannon we always have for St. Patrick's Day (I'm nowhere close to Irish, but Jill's family is). what a gorgeous bread! 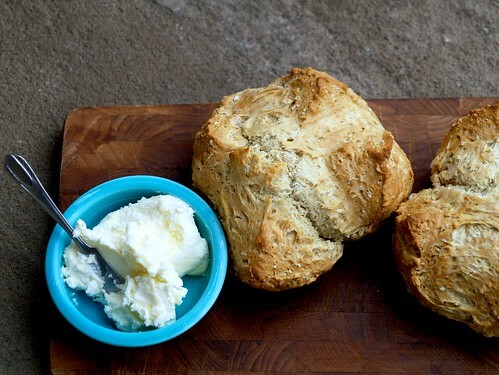 I've never tried a soda bread with herbs, and this makes me want to change that. looks delicious. i can't wait to try this. drat. must get buttermilk though. Rosemary never fails any recipe. I am eager to try your recipe. I am a bread eater!